Grace. It's at the heart of who we are as Lutherans. It's what empowers us to live a life of faith. When Lutherans talk about faith, we are talking about the relationship God’s Holy Spirit creates with us. It’s a relationship where God’s promise of steadfast love and mercy in Jesus opens us to a life of bold trust in God and joyful, generous service to everyone we know and meet in daily life. 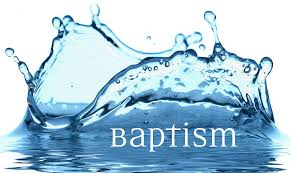 There are two Sacraments in the Lutheran Church — Holy Baptism and Holy Communion. 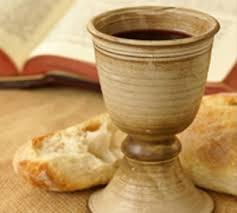 A Sacrament in the Lutheran Church consists of a physical element, such as water and bread and wine, God’s Word, and the fact that it was commanded by Christ. Sacraments are a gift from God and a “means of grace,” which means God’s grace and forgiveness comes to us through these simple actions. 1. Jesus is Lord: That means that no one or nothing else can be — not in our lives and not in our churches. If Jesus is Lord, then I can’t be. But, thankfully I don’t have to be either. 2. Everyone is Welcome: That means EVERYONE — even those with whom we disagree or who don’t look like us or act like us or talk like us. God’s grace is for all. 3. Love Changes People: We need both the Law and the Gospel. But as Lutherans, if we’re forced to choose, the default is always the gospel — God’s incredible love and grace to us. 4. Everyone Has Something to Offer: Martin Luther called this the “Priesthood of All Believers.” Not only does everyone have the opportunity to be a part of God’s mission in the world, every believer also has a responsibility to be involved in God’s mission in the world. 5. The World Needs What we Have: We have this incredible message of love and grace and hearts for service. We need to share them with a hurting world.